This compact compress is perfect for most any job. Compact and light enough to travel with, the Hurricane has enough power to spray something as simple as bridal beauty makeup, to covering an entire monster body suit made of foam. Added feature is an automatic shut off to help preserve the life of the compressor when on, but not in use. 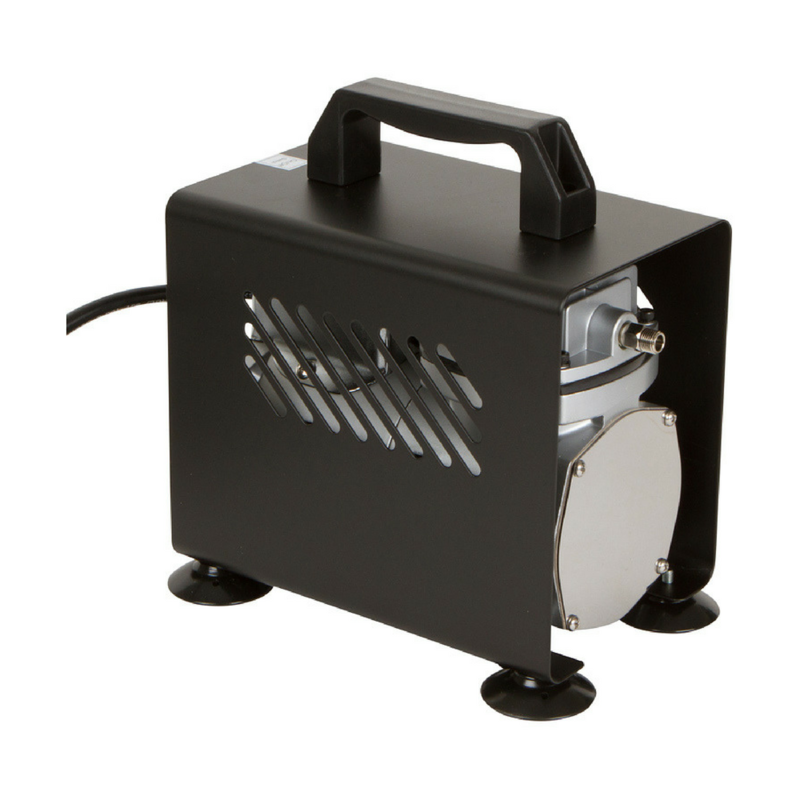 Great for industry professionals looking to own a "do it all" compressor for any occasion.